Your rentalpartner on the Costa del Sol! Freedom in a small fiat? Your Rental Partner in Malaga! To explore Andalusia, a quiet ride along winding roads through the white villages, cities of culture, varied landscape with avocado orchards and olive groves, rocky mountains and rolling hills, with the Mediterranean as a constant companion, is an experience in itself. Or do you just simply want to get from A to B? A daytrip with the kids? Try that beach or the restaurant that your friends recommend, that is located a few miles away? Relax, we will fix it! 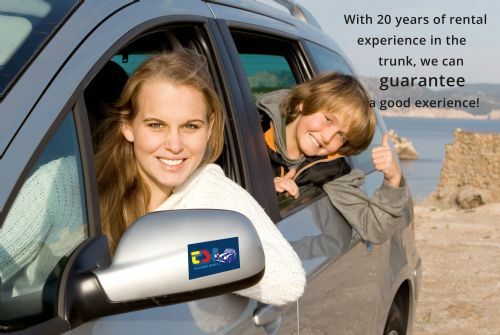 For well over 20 years, we have supplied cars to holidaymakers here on the Spanish Costa del Sol. We have a large selection of both small and large vehicles. You will easily find something suitable for you/your family. Read more about our car rental here! Have you made Spain your home? Registation and MOT-inspection of your car!